The Holy Fire Master Reiki Class combines Advanced Reiki Training (ART) and the complete Holy Fire Master training as a consecutive 3-day intensive. 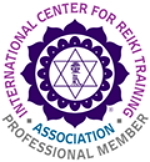 To qualify for this class, a student must have taken Reiki I & II from a qualified Reiki Master in an in-person class (not online or self-study book). The student must have practiced Reiki II for at least 6 months (but preferably much longer). The student must also be able to proficiently draw the Reiki II symbols from memory and know the Reiki I & II healing techniques. The Holy Fire Pre-Ignition that readies your energy channels for the Holy Fire Ignitions during the following two days. The Holy Fire ART/Master Class combines lecture, discussion, demonstration and lots of practice so that the student feels proficient in performing all techniques and initiations. Cost: $850.00 includes a $275.00 non-refundable deposit.